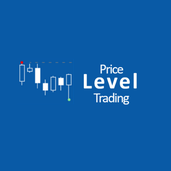 About me Price Level Trading provides one of a kind stock trading education and strategies that have been proven to consistently make money in up and down markets. Our mission is to enable people to retire one trade at a time by using the stock market. Going to use shares on this one since the options available have poor open interest and almost no volume. Targets are shown in purple. Going to setup a trade using April $47.5 calls stop-limit $4.25 (tweezer top at $4.20 on the options) with a $1 stop. Risking $100 per contract. Upper targets low to mid $50 range. Only concern is that the gap from the last two days has no been filled, but let's see if the sellers jumping on at this resistance get squeezed up. Cheers! NIO coiled to test $12+ again? BABA is breaking out of its weekly and daily pennant pattern so put in an order for March 165 calls limit buy 8.10 with stop at 6.10. Target is 180-182 on the share price. Let's see if we get filled :-). Descending triangle on AAPL 's faster timeframes. Looking to take the break of $172 with 2:1 target at 178 then second target of $185ish or upper downtrend line. Setting up an options trade with April $165 calls stop limit entry at $10.85. Stop will be at $9 (or $8.85 to make the calculation easier for more contracts/different risk).